Yes, a wonder drug: cat pills that look and taste like food! 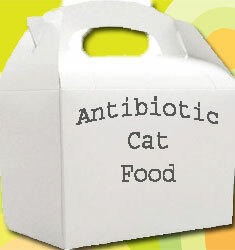 Can you imagine the feeling of relief that a concerned cat owner would have if she could simply put down some of her cat’s favourite food when administering the dreaded antibiotic pills. Or any other pills for that matter but veterinarians frequently prescribe a course of antibiotics for pets and the burden of delivering that medication often falls upon the cat’s caretaker, which can be a nightmare. It depends on the cat, of course. Some cats will submit to a pill being delivered with a pill gun without too much trouble but it will usually be somewhat traumatic and disturbing for the cat’s caretaker because there will usually be a struggle and we don’t want to hurt, in any shape or form, our cat or upset him. People might feel that they are damaging their relationship when they try and give their cat a pill with a struggle. Cats, as we all know, have beautiful noses. They are highly sensitive and it is almost impossible to disguise a ground up pill in ordinary cat food because a cat will detect the smell of the chemicals in the tablet and refuse to eat it. Hiding bits of a pill or a whole pill in cat food can sometimes prove successful but often does not. In short, there are many complications and problems with delivering medication via a pill to a cat at home. Let’s remind ourselves that when a veterinarian gives a pill to a cat in his consultation room at the clinic, it is much more straightforward because the cat is in a highly subservient position. The cat is also anxious and this combination of emotions makes him much more pliable. He will often submit, quite readily, to being given a pill. Note: not all cats are subservient at the clinic but in general there are far more likely to be. A quick search on the Internet indicates to me that there are very few cat pills – if any at all – which look and taste like cat food. I don’t know the technicalities of producing feline tablets but common sense tells me that it must be perfectly practical to manufacture a tablet that looks and tastes like high-quality cat food. After all, we end up mixing the ground up pill with cat food, so what’s the difference? Why can’t the manufacturers do it for us but do it better than us? Once again, I have to conclude that the reason why we cannot buy medication for cats in tablets that look and taste like favourite cat food is because it is neither financially viable nor convenient for the drug manufacturers to do so. I’m sure it is as simple as that. Why can’t they go into partnership with a pet food manufacturer? Perhaps the pharmaceutical companies want us to fail and struggle in delivering a pill to a cat because it means that people require the services of a veterinarian more often to deliver injections of antibiotics. This feeds back to more work for the veterinarian and it is almost certainly more profitable for the manufacturers. When you think about it, dry cat food pellets are not dissimilar to a cat pill. The cat food pellets are a bit larger and a bit rougher. Why can’t the manufacturers produce a bag of high-quality dry cat food that is actually medicated so when you give a course of antibiotics to your cat you feed him with the contents of a small bag of dry cat food. Simple. Each cat has his/her favorites. Each pet food manufacturer should go into partnership with a major drug company to create a range of medicated dry cat food which suits every cat’s taste. This entry was posted in medicated cat food and tagged administering pills to cats, Best Dry Cat Food, Cat antibiotics, medicated cat food by Michael Broad. Bookmark the permalink. There are some excellent compounding pharmacies that do a great job to “mask” the taste of some meds. I always start kittens very early on to be ok with giving them pills. I use small pieces of yeast tablets (which they love) to begin the process. I can now “pill” my cats in an eye-blink- and of course follow it immediately with a water -chaser (syringe) or food to make sure the pill doesn’t get stuck in their throat. I think the whole trick is starting them as young as possible- in the same way (when possible) to trim their gorgeous nails. Don’t forget about what an empty bowl of cat food looks like to the cat Michael. Half full! How would you know how much she got? I’d like to see for instance, hairball goo that came in a capsule. Then I’d be sure it goes down. Yes, a fight, but one becomes expert in pilling when the need arises.